This is the TRA4581X, Glow Plug Lead Wire for the Revo EZ Starting System. This attaches to the glow plug prong to heat the plug during starting. 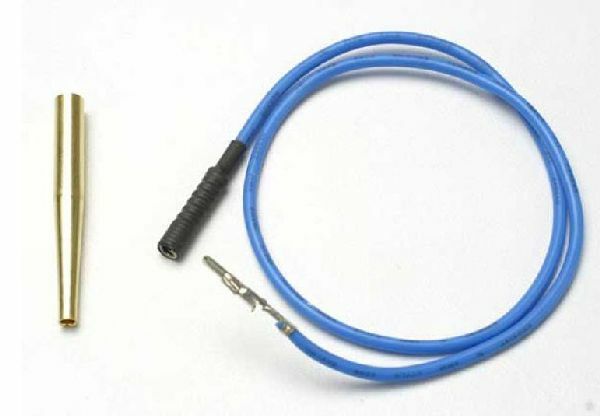 FEATURES: Blue silicone insulated wire with pre-installed connectors. One glow plug wire lead. One Molex pin extractor tool.